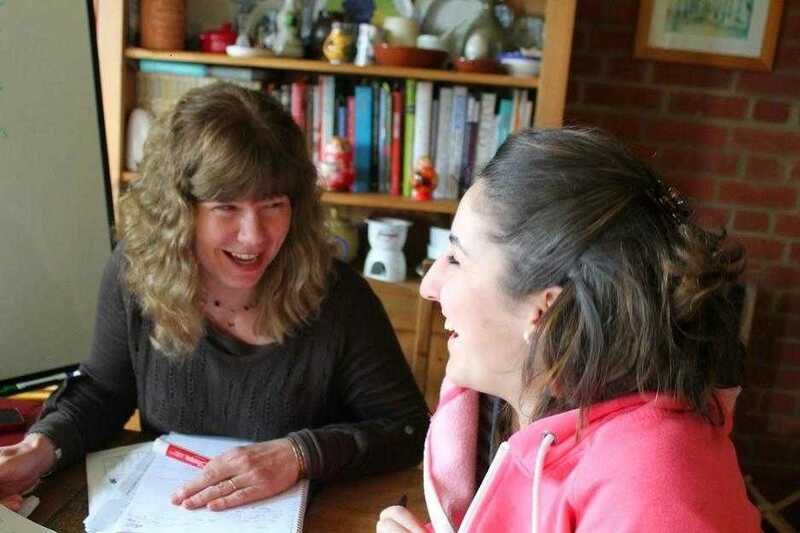 If you enrol in the Living Learning English home tuition course your teacher will welcome you in his/her home where you will experience the British life as part of a friendly, warm family. You will have a tailor made programme of activities and excursions in 1:1 or 2:1 lessons with your own personal teacher. To maximise your progress you will only speak English every day in your specially designed courses and outside of them. Living in your teacher’s home will guarantee a rapid progress in English and a complete, in-depth experience of British lifestyle, culture and customs – invaluable and unique. We are members of English UK and Quality English and accredited by the British Council. General English: this tailor-made course is aimed at improving you English language skills according to all your needs and requirements. Business and Professional English: this course will improve the English you need for your work. It focuses specifically on the language and communication skills you need in your professional life. Crash Course (four days): designed for busy professionals that have to get the most out of a very short amount of time. English for Examinations: preparation for TOEFL, the Cambridge English exams, TOEIC or English examination tests in your country. IELTS Exam Preparation: an experienced tutor will prepare you for the IELTS test. You can then take the test at a local IELTS test centre. Young Learner Courses: our fully supervised courses of General English in addition of a programme of activities for under 18s. Academic English: prepare for study at university or school in the UK or revise for A-level and GCSE examinations. English for Teachers: an advanced English course that brushes up on your vocabulary, communication skills and use of English for the classroom. English Plus: the best way to combine studying with a holiday! Activity sessions with your teacher plus General English lessons. Courses include: guided sightseeing (cathedrals, castles, historic houses and Roman Britain); cookery, walking, flower arranging; art and design; gardening; poetry, literature, creative writing and theatre. A Living Learning English Professional Course will help you with the English you need for business meetings, negotiations, making presentations, and attending international conferences. Your professional English will improve and you will also practise the social English you need when meeting and entertaining your clients, looking after your overseas visitors, and travelling on business. You will learn skills and techniques for telephoning, for writing reports, for business correspondence (letters and emails) and taking notes. We help you with the specialist vocabulary you need for your work in a wide range of fields e.g engineering; information technology; medicine; law; finance, banking & accountancy; marketing & sales, human resources and many others! I stayed two weeks in London in an english course, everithing was fine, the organization take care of all details related with the course, the travels, your needs, and they call you to confirm if everething is correct with all the aspects of the course. My teacher, Carol Ann, was marvelous with me. Nice, patient and She has a lot of expirience teaching. I am very happy to have taken this course. Hi! I’m from Ukraine. I’ve stayed in Newport 3 weeks and now I want to share my recent experience. To begin with, I want to say a few words about my host family. The family was very friendly and caring, because they were spending a lot of time with us. Also, there was a little baby, called Mollie. She was very funny and we enjoyed to play with her. They were like our friends: we were playing different table games, football, watched British TV series together and talking about everything every time. What about excursions: that was really awesome! We got a lot of impressions and emotions from different places. We’ve visited Swansea, Burry Island, Cardiff many times and also the places like coal mine, mountains, museums, restaurants and shops. Furthermore, I made a lot of friends. We really got close with the Spanish girl- Lucia. We had a lot in common, so we’ve spend our time together. There was also the ability to meet family’s relatives and friends. What is more, the English program was very good. It was definitely appropriate for my level and improved it even better. I’m not absolutely fluent, but I can easily talk with others, keep up the conversations and talk on different topics. Also I improved my other skills, such as writing, reading, listening. All in all, I want to say that I’m really satisfied with that opportunity. I’m recommending this family and LLE school for everyone, that wants to improve English skills, taste British traditions, make new friends, and , of course, spent the summer unforgettable! Yes indeed, the title says everything, I have had the best two weeks in my vacation. It has been the best abroad experience I have ever had, I mean, the Pickett family not only provides you with food but they also give you they're effort to accomplish your wishes. I came to England with the idea of learning and keeping my English accent improved, and that's what has happened, BUT not only that, I have been also doing lots of sports which I didn't even know I was so good in, such as swimming, football, tennis and even basketball. What I am trying to say is that there is nothing better than spending some time with the Pickett family. And now that my last day is almost over I am not sad because I am leaving, because I know I am coming back for sure. I decided to improve my English skills with the L.L.E company because I didn't have a lot of time to do that and I'd like something very specific to my needs. I loved the structure of the course which is 3 hours in the morning and homework in the afternoon. Two afternoons per week, we had an excursion in the town, in the area and at the cinema. We did a lot of different things. The family is also incredible. This two artists showed me their work and we went to an opening of an art gallery. I very enjoyed this journey. I improved my English level and my confidence in this language. My name is Eldar. I am 14 and I`m from the Ukraine. I have spent two weeks in Wallingford with Shan and Andrew. They gave me a warm welcome.The lessons were very interesting and helpful. I learned a lot of grammar and writing skills. The food was excellent, and the house was really comfortable. My favourite excursion was to Bletchley Park, home of the code-breakers in WW II. We used an Iphone guide for information about every display and exhibition and learned about the lives of the Code-breakers. We also went to see the Oxford Colleges, The History of Science Museum, The Natural History Museum and went to a Concert at the Sheldorian Theatre.We went to an English fete, the "Harwell Feast". There we saw veterans cars, steam engines and "VIKINGS". We also went to watch a movie at the Corn Exchange. We also went on river side walks in Wallingford and Henley. Last night I had fun playing Nintendo games with Shan`s son Huw and his friend James. I really enjoyed my time in Wallingford. Thanks again to Elaine and Patrick Tilley. It's my third visit, and one more time I've really improved my English. I needed to improve my pronunciation to be able to speak in public. My results are more than expected. Thank you so much, Elaine!! Furthermore the meals are great. Elaine is really a great cook! And, with our favorite driver we went to Kelmscott Manor, and, of course, we went to Oxford city Centre which is fabulous !! The lessons, activities and all other things were so good. I experienced many things ! My stay here in grayswood was really exciting! Although I had a could, I really enjoyed it. Therese had taken care of me really good. I really learned a lot. I would recommend to everybody to stay a Therese's house, with having a course at LLE. I tend to think that most people would agree that Living Learning English offers a really upmarket service which will give a run for their money to traditional English teachers. The organization really needs to be put under the spotlight because their students do make a lot of progress in a such short amount of time. Personally, i feel that you basically have to try it, to get into their educational system to understand how good it is and how much it can profit you. Although you have to make up your own mind, It is in my opinion a surefire way to improve your English. To sum up, if you want to set the bar high and to pass with flying colours your English exams, you should consider trying Living Learning English as it will broaden your mind and will definitely help you out. Living Learning English likes to stretch the brightest and the best.